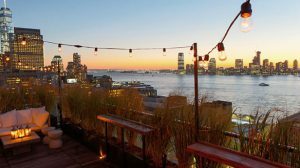 The days are longer, and the sun is stronger so we have put together our 7 top places to go to in NYC this summer, did you favorite place make the list?! Do you like matcha? 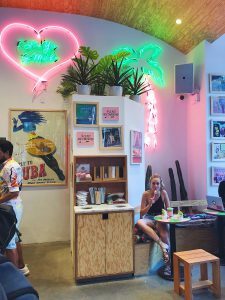 Do you like ice cream and neon signs? If so (which, you definitely should try to! ), Cha Cha Matcha is a MUST see when strolling around the city this Summer. 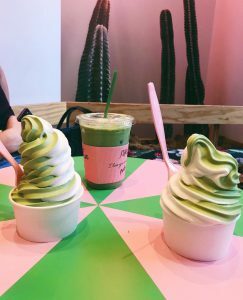 Grab a nice matcha/vanilla swirl ice cream, an iced matcha latte or even a matcha doughnut to cool off and sweeten your Summer! The High Line is a summer classic. Make sure to get a popsicle from the stands along the modern walkway through the city. 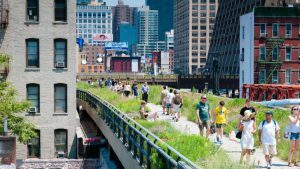 The High Line is a great place to bring friends and family visiting to show them how the city meets nature! 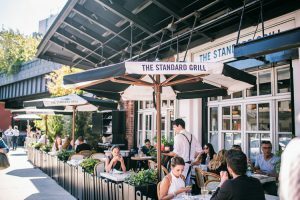 This old railroad track also has restaurants such as the Standard Grill located below it and the Whitney Museum at the entrance to make for a full packed day of adventure. With only a subway ride away you can go to the charming Dumbo in Brooklyn for the day, or even afternoon! From the Jane Carousel to picnics on the grass overlooking the Manhattan and Brooklyn bridge, exploring around, or eating at Cecconi’s. Dumbo has something for everyone. Not going to Europe this summer? 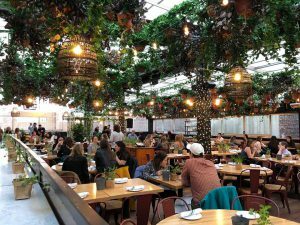 Don’t worry, Eataly’s rooftop restaurant; Serra by Birreria will make you feel like you just landed in Capri with its fresh feel and authentic Italian food. The rooftop restaurant offers enough shade with luxurious greenery so it won’t be too hot on a sunny summer’s day. 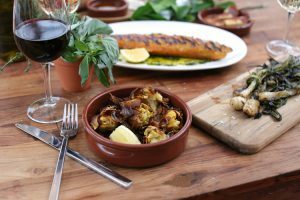 Make sure you check out the other parts of Eataly while you’re there as well (all their food is imported straight from Italy), you’ll be in Italian heaven! P.S make sure you try the pesto pasta at Serra! 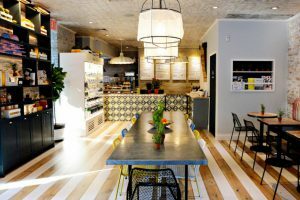 Hop on the Vegan food train and try “by CHLOE”; a trendy new, only vegan restaurant. 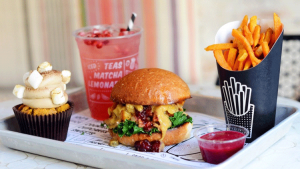 Dive into some fries and a delicious juicy burger, all vegan! 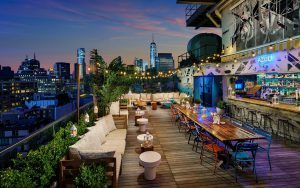 New York City is always magical, but there is just something about summer in NYC that really makes you never want to leave. These hazy summer days bring so many great adventures. 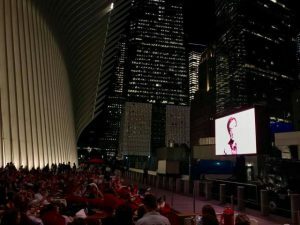 What is your favorite thing to do in NYC during the summer? We would love to know!